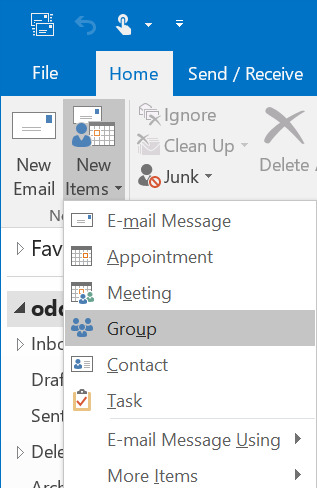 To run meetings with Decisions, you need an Office 365 Group for your team. This guide explains how to create agroup. 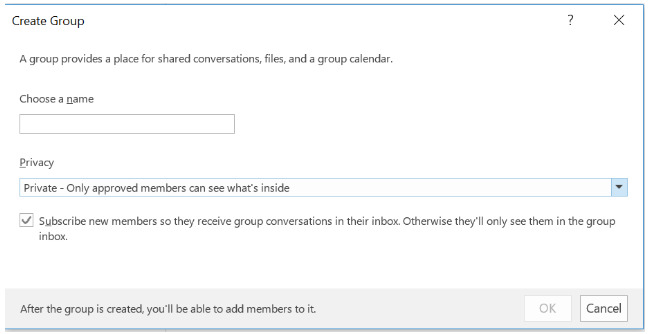 Note that your Office 365 administrator may have blocked user access to create Groups. Click "New Items" and select "Group"
Select "Subscribe", to make sure members get group conversations and calendar invites in their inbox. You have now successfully created a group. Next step is to create a meeting in this group.